Financing your next new Chrysler, Dodge, Jeep, RAM, FIAT, or used car should not be a time-consuming hassle! Let our online auto finance application reduce the amount of time you need to spend on auto loan hunting. Sitting around waiting on a finance approval at a dealership is stressful! So get your auto loan approved before arriving at our greater Murray Chrysler, Dodge, Jeep, RAM, and FIAT dealership. David Taylor Chrysler Dodge Jeep Ram FIAT provides the lowest available rate on a car loan in the Murray area and high approval rates for bad credit auto loans. You can qualify for an auto loan for your next Chrysler, Dodge, Jeep, RAM, FIAT, or used car, truck or SUV at an affordable rate, regardless of what your past or current credit situation is. Special financing is not only for buyers with bad credit. Self-employed or commissioned employees may be classified as high risk and our auto financing services can help most people who are classified as such. We also offer many car leasing options for those who prefer to lease their new vehicles. Try our online car payment calculator to estimate your monthly loan payment and help us find the perfect leasing arrangement for you. 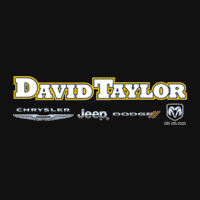 David Taylor Chrysler Dodge Jeep Ram FIAT	36.6395983, -88.3090776.